ED. NOTE: Normally, HoCo360 is more of a visually-themed site. Please pardon today's divergence. I had lunch at The Red Pearl down at the lakefront today. I went to have some of the delicious traditional-style kung-pao chicken that I had read about in HowChow, my go-to source for anything food in HoCo. I had sampled it before -- it's delicious. It is dry and spicy and nothing like the garden variety, westernized kung pao that you can get anywhere. In fact, Brent over at HowChow writes that, after eating it, "I can't go back to normal glop again." Turns out there are actually two versions of kung pao on the menu at Red Pearl: the delicious kind, and The Glop. I did not know this. I was served The Glop. Why am I telling you this? Because when I mentioned to them why I had come to Red Pearl at all (to get the real kung pao) and where I had read about it, no one there even knew about HowChow. I blinked in disbelief. Really, Red Pearl? Really? You do not even know about the person more people turn to than any other for dining advice in HoCo. How can you not know about HowChow? Your customers sure do. Do you know you are in a cursed location? Yeah, I'll bet you know that. It has bested every restauranteur who has ever made a go at the seemingly prime spot at the lakefront. Brazilian steak, anyone? Hell, it even claimed the legendary Jesse Wong, whose Hong Kong restaurant was a recent victim. You'd think that if someone was going to make a go of it there, they'd want to make the odds as good as possible for success. Like, maybe actually knowing about the best info source for all things food in HoCo. How do you think people decide where to go out in 2011, if not by using social media such as blogs, Urban Spoon, Yelp and others? No offense, local newspapers, but if I were a restaurant in HoCo, I'd be looking to maximize my footprint in local social media. And that would even include pointing advertising dollars at a specifically targeted site like HowChow. Take the screenshot at the top of this post, which was grabbed from the scope function of the Urban Spoon app on my iPhone right after lunch. I simply aimed the phone at Red Pearl, and it figures out where I am and tells me that at 19 out of every 20 people who voted on this restaurant like it. Kudos, to be sure. 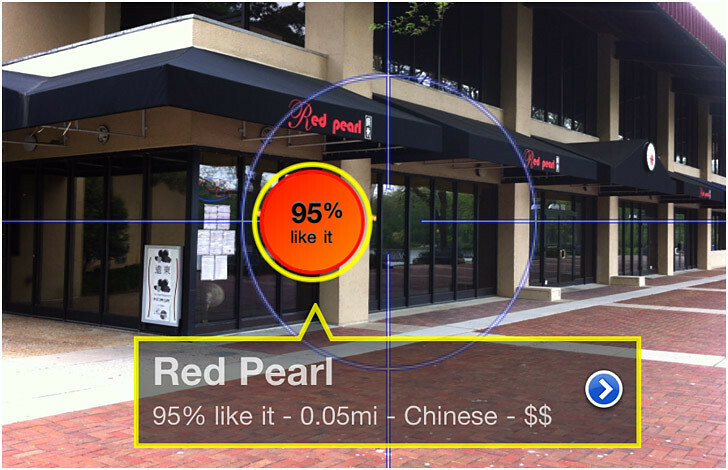 But I'll bet a plate of authentic kung pao that the owners there have no idea this augmented reality app (and all of the fine Red Pearl reviews therein) even exists. Or that they could have had images of their menu uploaded to the app from Day One. For free. Question: How, in 2011, can you be a local business and not be aware of, much less using to the fullest extent, social media? Do you really prefer spending money on ads in traditional media that people will simply glaze over -- assuming they still read a newspaper at all? On the other hand take Victoria Gastro Pub, one of the most successful restaurants to hit HoCo in years. 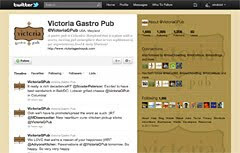 Victoria Gastro Pub gets social media. In fact, their Twitter account has as of this writing over 1,200 followers. That's over a thousand loyal customers who Victoria (probably not her real name) can reach for free any time she wants. And that's not counting the "retweets" generated by their followers. All for free, and all with more credibility than advertising because the readers are socially connected, and "opt-in." And their reach grows every single day. HoCo is full of examples of people who understand the power of connecting with customers directly, often for free, and in a much more personal way than with metered advertising. Brian England, of British American Auto Care, gets it. 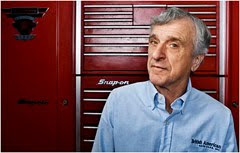 I photographed him a few months ago for a BizMonthly story on small business. We ended up spending much of our time talking about how social media (and sites like Groupon) have been major drivers of new and repeat business for British American. Even I was surprised at how successful their online campaigns had been. Brian is no dummy, and it is not by accident that British American has been successful as a HoCo small business for over a quarter century. HoCo Exec Ken Ulman gets it, too. With nearly 2,500 followers on Twitter, he can reach his constituents for free -- including many, many people who then go on to retweet important news. He does not need as newspaper to act as his channel (and information gatekeeper) which is something that became very important during last year's blizzard. Twitter account @KenUlman became the source for local, minute-to-minute news as the snow and tension piled up. If he decides to run for some other office after serving his second term as exec (smart money says he will) you can bet he'll take those followers with him. Bam. Instant base. Locally-owned businesses need to be building their own free, instantly accessible bases of customers, starting yesterday. If you are not taking advantage of the power of that reach (and of the built-in structure of word-of-mouth recommendations) you are passing up a huge opportunity. Otherwise, succeeding as a locally owned business could well be as difficult as getting a good table at Victoria Gastro Pub on a Friday night.